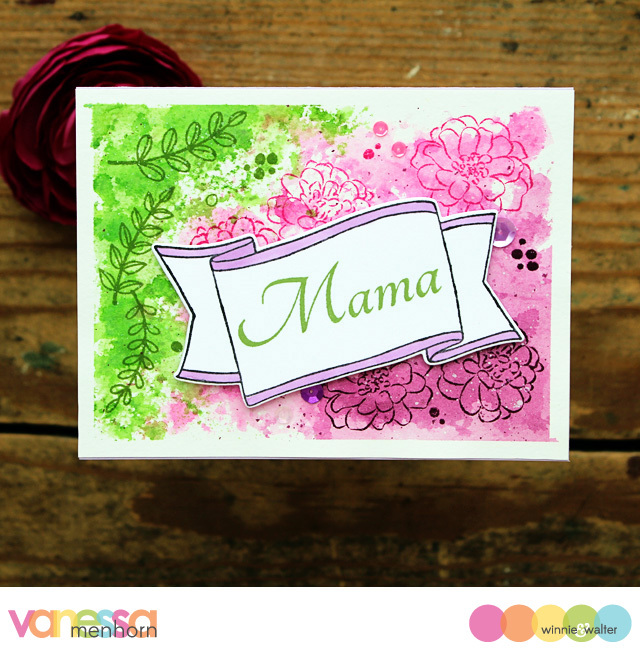 Hello everybody, Vanessa here to share a Mother's Day card with you today! I have to admit, I didn't have much time for cardmaking lately due to a lot of various festivities with my family. With Mother's Day right around the corner, I needed a card quickly. Now it became handy that I had some pretty watercolor backgrounds I had prepared a while ago lying around! Preparing backgrounds is a great way of saving time when you need to make a quick card. I like to use watercolors with the ink smooshing technique, to create colorful backgrounds with an ink blending tool or to use the wonderful Winnie &amp; Walter creative screenings. Here I had masked off the edges of the watercolor paper panel with tape and applied Distress Inks mixed with water. I like to dry every color before applying the next one. After the colors were all dried, I stamped the leaves from Framed with Evelyn T Designs and the flowers from In Bloom: Anna's Flora with matching inks and adhered the panel to the card. Now I stamped the banner from Framed with Evelyn T Designs onto white cardstock and die-cut it with the matching die. 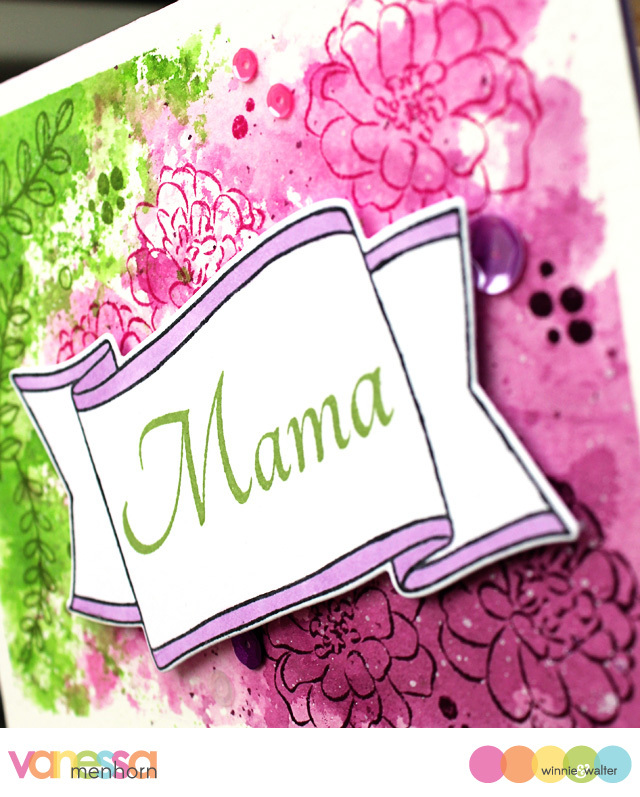 I stamped the "Mama" from Parentville Extras (you could win this stamp set by commenting HERE), colored the edge with Copics and adhered it to the card with foam tape. Finally, I added matching sequins. I hope you like it and that my mother will, too :) Thank you for stopping by today! Very pretty loose watercolour look.